I found this recipe on Pinterest and it’s from the EveryDay magazine by Rachael Ray. 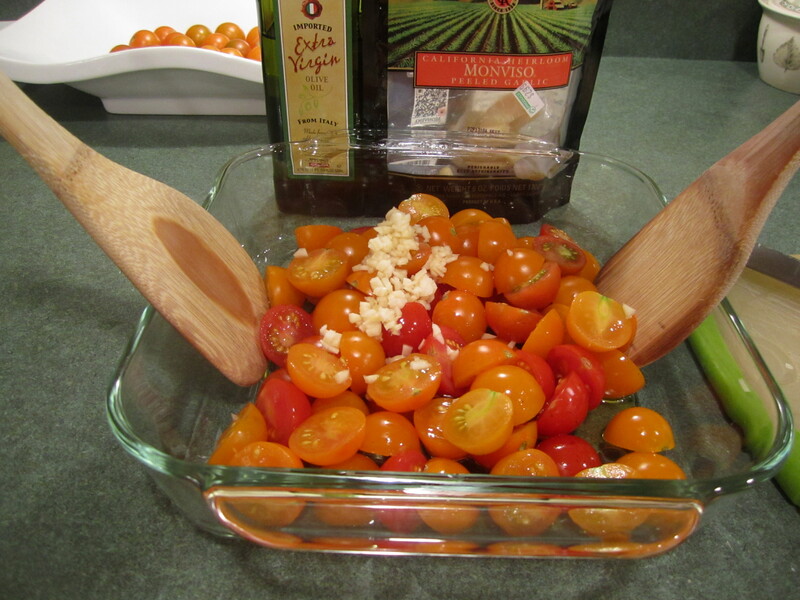 It is absolutely delicious and so simple and versatile. 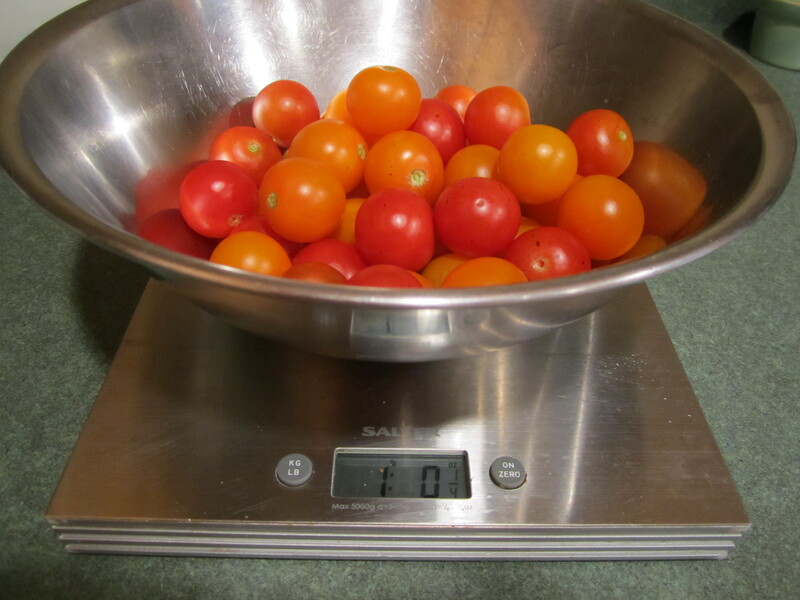 I recommend tomatoes from a farm stand, your back yard or a farmer’s market. The taste will be far superior than what you get at the supermarket. 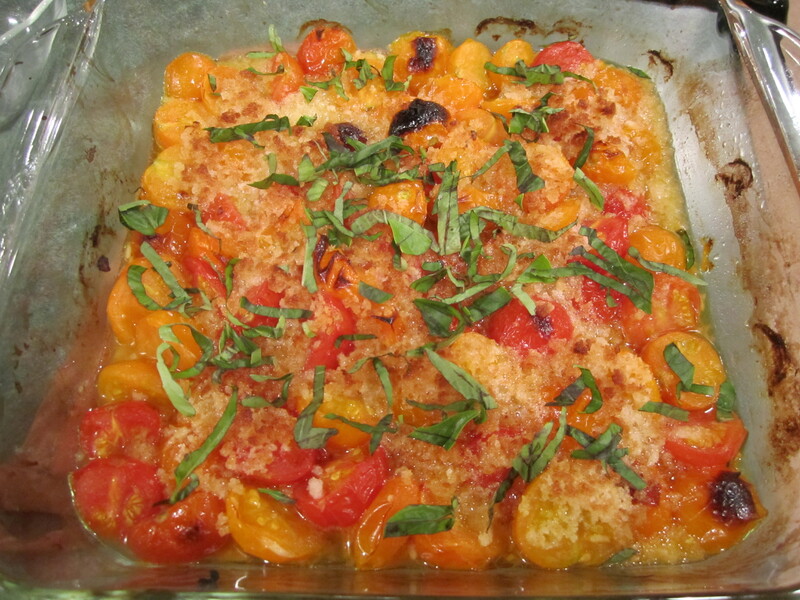 They are still out there now, so don’t waste another moment and get a pound of cherry tomatoes, red or yellow, it doesn’t matter, and make this recipe! Set your oven at broil. In a small bowl, stir panko and melted butter together and set aside. 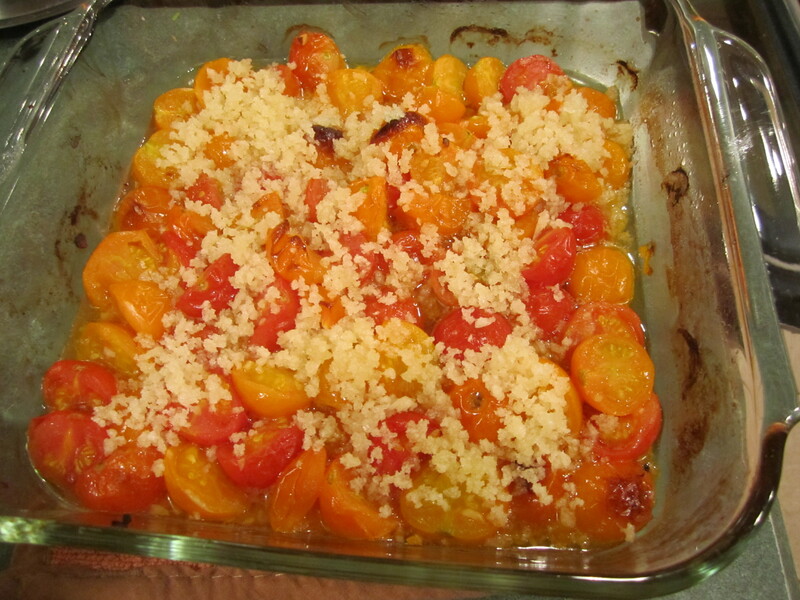 In an 8-9 inch glass baking dish (no need to spray with canola oil), toss tomatoes, garlic and olive oil. 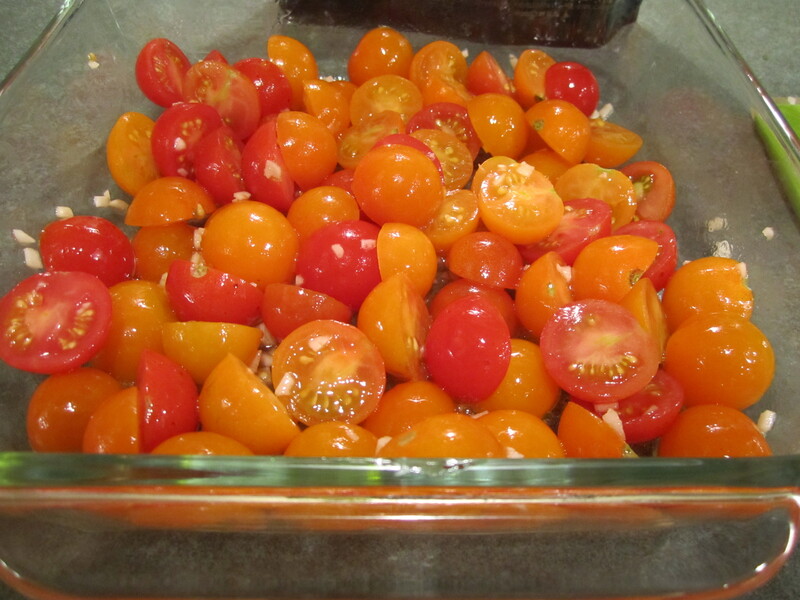 Broil for 12 minutes, stirring tomatoes 1/2 way through. 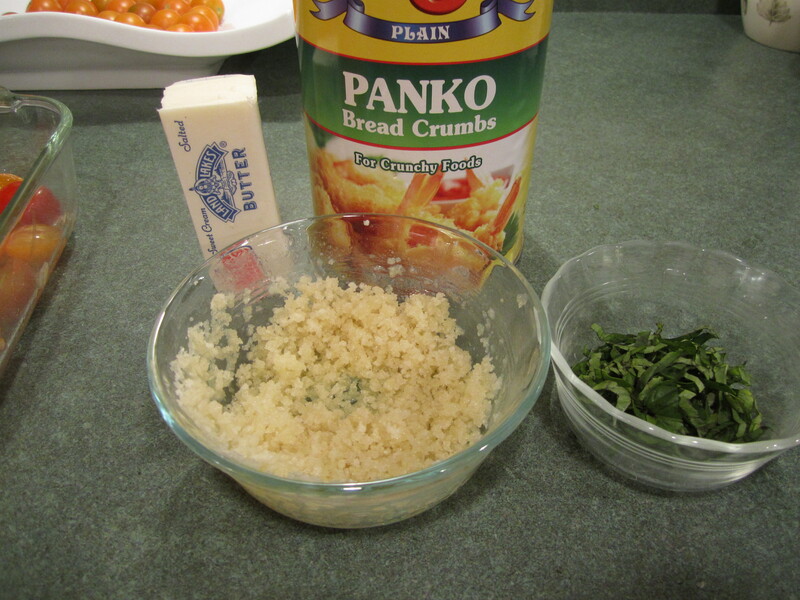 Remove from oven, and sprinkle panko/butter mixture on top and broil for 30 seconds. 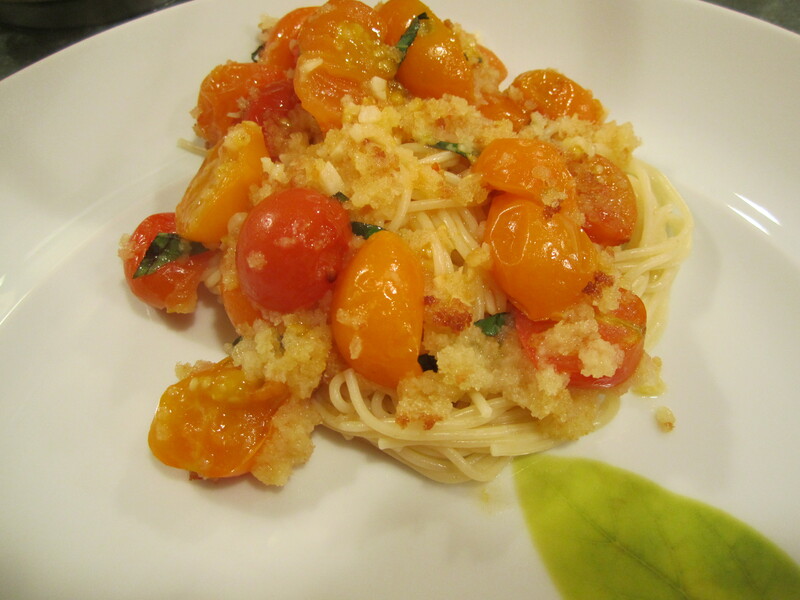 We served this over capellini spaghetti. Delicious. 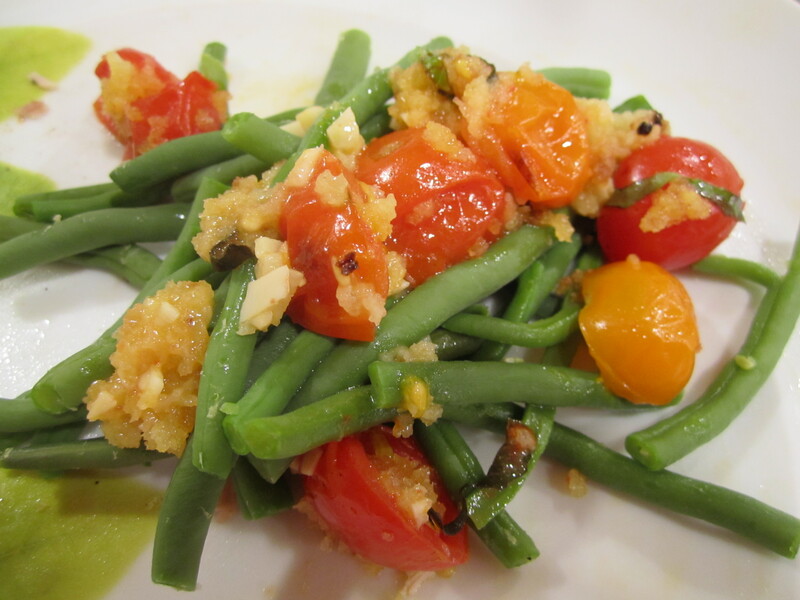 We also had fresh pole beans from the garden, so I served it over the beans as well. Delicious. The next day, I took what was leftover (not much!) 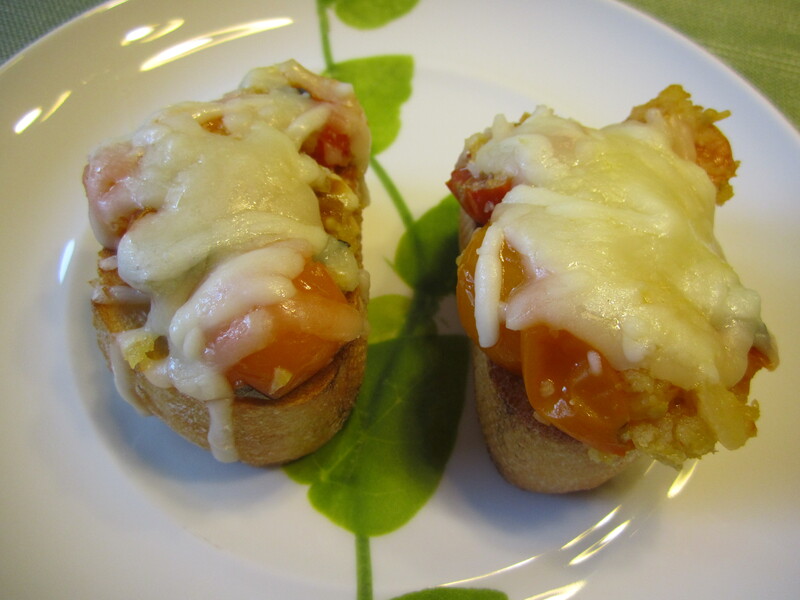 and put it on 2 pieces of a sliced baguette and sprinkled mozzarella cheese over the top. Then I toasted it in the toaster oven for about 1-2 minutes. Delicious. 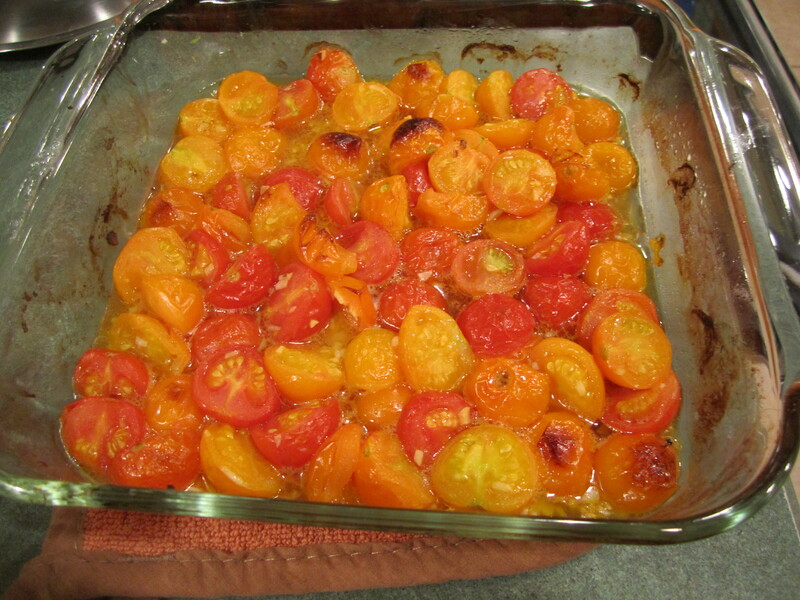 Cooking the tomatoes brought out more of their sweet flavor. It was amazing! Welp, I know what Kristen and I are making for dinner tonight!